Are you ready? Here we go.. In Mooshu you run into a whole lot of folks who claim to be part of the Yakoozai. A band of thieves and generally bad critters. But who claim to be nice, and act as peace keepers. The head of their “family” is Oyabun Shingen who is based on a comic book character. 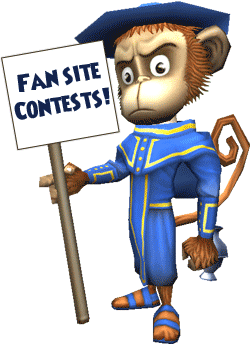 This entry was posted on August 20, 2014, in News and tagged 2014, arrgut, contest, games, giveaway, Kid friendly, kid safe, news, newsletter, online, Pirate101, Pirates. Bookmark the permalink. ← Round 2 Arrgust 2014 – Contest Winners!